A previously deported illegal alien who was convicted of attempted murder in the United States is just one of the at least 7,000 migrants traveling to the U.S. in a caravan. 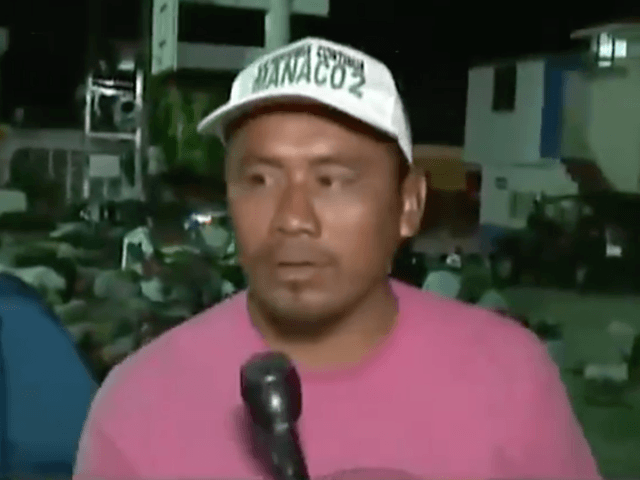 In a candid interview with Fox News, a migrant with the caravan identified as “Jose” admitted that he has already been deported from the U.S. for being convicted for felony attempted murder. “He says he wants to apply for a pardon for the felony he committed,” a volunteer translator said. As Breitbart News has chronicled, though the establishment media has repeatedly claimed that the caravan is seeking to enter the U.S. to seek asylum, the Central American migrants have continuously admitted they are not seeking asylum. Instead, the migrants are looking for jobs, crime-free communities, and many are previously deported illegal aliens who are looking to go back to their former, illegal life in the U.S. None of these cases is eligible asylum claims. Less than six months ago, a similar migrant caravan was allowed to cross into the U.S. with weak asylum claims despite threats from President Trump to close down the border. Many migrants from that caravan are living in the U.S. as they await their asylum hearings. Border-crossers and asylum seekers have a nearly 90 percent chance of evading deportation from the U.S. if they claim credible fear at the border, Breitbart News reported. In the last three months of 2017, there were more than 30,000 credible fear claims by foreign nationals at the southern border.